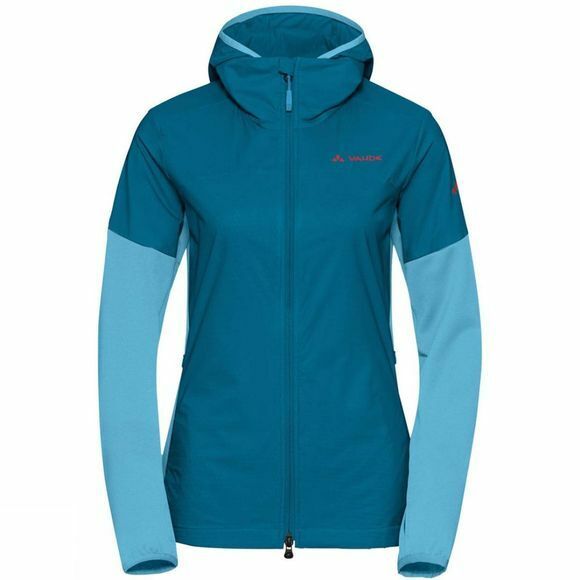 The Womens Scopi SYN Alpha Jacket from Vaude has exceptionally breathable insulation at the front and jersey at the back and sleeves ensure an optimal microclimate and unbeatable freedom of movement. 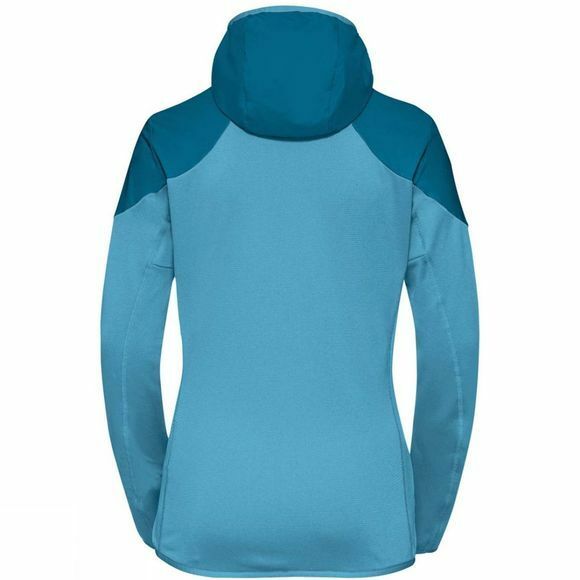 The lightweight insulation keeps your core warm and protects you from overcooling due to the wind-chill effect. When the temperatures drop, take the hood out of the collar for practical warmth. This lightweight touring jacket is an excellent choice for wearing as an insulating mid-layer with a shell, or as a light outer layer on its own. The textile materials have been certified by the bluesignsystem, the world strictest standard for environmental and worker safety for textile products. The Vaude Green Shape label stands for environmentally friendly, functional products made from sustainable materials.